President Affeldt Calls Colleague Board Member Patz a "Criminal"
The other shoe has dropped in the ongoing Emery School Board fracas begun last Wednesday night after the Board President and the Schools Superintendent disregarded the testimony of 11 teachers regarding the dangerous conditions of the construction site at the new school campus for the run up for the first week of school starting last Thursday. Board President John Affeldt upped the ante after he released a letter yesterday to parents and interested parties charging his colleague Christian Patz with "criminal intent" as a result of Mr Patz having asked for a postponement for the starting day of the school year to make sure the campus is safe for the children. In the letter, Mr Affeldt said the Board's hands were tied Wednesday night and that's why he would not allow any such postponement regardless of any safety problems proffered by teachers or Board members. Mr Affeldt and Superintendent John Rubio heard eleven teachers and two parents, 100% of all testimony taken, cite dangerous conditions at the still-under-construction campus and the speakers implored the School District not to subject the children to the dangers lurking there but the administrator and the president would hear none of it. Mr Affeldt and Mr Rubio said after conferring by phone in a back room with an attorney the District uses that they had no choice; to postpone the new school opening a few days to give workers a chance to clear out the dangerous conditions would be a Brown Act violation and in no way permissible the two said. To refute, Board member Patz said that the Board could act to forestall a dangerous situation for the children and that all that need happen would be that the Board declare an emergency and the Brown Act would thus not be violated. However Mr Affeldt, acting as self appointed unitary executive, would not permit the Board's vote to declare an emergency of any kind. After taking a straw vote and hearing a majority of Board members desirous of declaring an emergency to postpone the opening of the school, President Affeldt stopped a vote following the proper motion and second procedure from his colleagues. Readers may remember last November when Board member Patz caught John Affeldt in a Brown Act violation when he hosted an illegal meeting with a quorum of Board members in the Superintendent's office before a Board meeting, an action which also drew the ire of Mr Affeldt after Mr Patz went public about it. Similar to now, Mr Affeldt denigrated Mr Patz for his assertions but he ended up finally apologizing and admitting fault after the Contra Costa Times got a hold of the story. I have since double-checked with a different attorney used by the district and he confirmed as did our counsel Wednesday night that my actions in refusing to let the board vote on an illegal motion was "absolutely correct" and saved the Board from committing a Brown Act violation. The Brown Act trumps rules of parliamentary procedure on motions and seconds. Two outside counsel have both confirmed that it would have been a clear violation of the Brown Act to take action to delay the opening of school without notice to the public and an opportunity for all to weigh in. The Brown Act requires 24 hours of notice in nearly all "emergency situations". Only in very rare circumstances, referred to in the Act as a "dire emergency" can a public agency take an action with only an hour's notice. Those circumstances are defined in the Brown Act as "a crippling disaster, mass destruction, terrorist act or threatened terrorist activity". While there were important concerns raised by the 11 teachers and 2 parents who testified to the Board, none of them came anywhere near establishing that the ECCL site—which had been approved for occupancy by numerous inspectors and professional staff—was somehow a dire emergency warranting closure. What you have proposed, and what Board member Patz' motion sought was to disempower some 500 families in the district and the general public by denying them the notice and opportunity to weigh in on an important board action. The Brown Act requires at least 24 hours notice for emergencies to prevent just the sort of precipitous action without notice that might have occurred here. I am proud to have prevented the unlawful disempowerment of the rights of our school community. Further, I was reminded by my second conversation with counsel, that intentional violations of the Brown Act are a criminal offense. It was clear from the meeting that Board member Patz exhibited the criminal intent to purposefully violate the Brown Act, opining cavalierly that the Board should be willing to violate Brown Act notice requirements because anyone who disagreed with closing school to Monday of this week would have no way to undo the action. Mr. Patz persisted in his intentional disregard of the Brown Act even after being informed that our counsel had said we did not meet the dire emergency standard. Appropriate concerns were raised at last week's meeting and appropriate direction was given by the Board to staff to prepare the school for opening. That was all the Board could legally do that night. It would have violated the rights of the whole Emeryville community to have taken any action on Wednesday night--not to mention being hugely disruptive and disrespectful of hundreds of families with childcare responsibilities--to have canceled school at 11 p.m. the night before classes were slated to begin. As Board Chair, it is my role to decide points of procedure. I am glad I fulfilled that role and prevented the Board from committing a Brown Act violation. As the facts played out, it was also the best move for our students as school began on time, safely and without disruption, and our teachers did their jobs in the highest professional manner to open the new school year. The fallout continues to build in the community from a palace coup at the August 24th School Board meeting when Board President John Affeldt improperly stopped a vote of a majority of his colleagues on delaying the opening of the school due to safety concerns for the children because the new school site at the Center of 'Community' Life is still under construction. The vote stoppage is a serious violation with serious ramifications teachers said after the contentious meeting and the law is clear that any duly seconded motion by the Board must be allowed a vote. At least one teacher characterized what Mr Affeldt did Wednesday night as a "dictatorial power grab". Wouldn't let the Board vote. The meeting, held on the night before the scheduled first day of school, was temporarily adjourned by Mr Affeldt so he could place a phone call to the District's counsel to inquire about the legality over a vote to delay the opening of the school the Board wished to make. Ten teachers and two parents testified that the school isn't safe for the children and the teachers also noted they hadn't received the curriculum from the District, nor textbooks. The teachers were adamant that the opening be delayed for a few days at least. A majority of School Board members agreed with the teachers in a straw vote. Mr Affeldt however joined with School Superintendent John Rubio in insisting the school must open as planned, regardless of any stated safety concerns or lack of curriculum and that even if they agreed, it was "too late for that" anyway. They posited the agenda item under consideration was an informational item and that any voting would constitute a Brown Act violation. Board member Christian Patz noted the Brown Act provides for work arounds if an emergency is declared and that student safety constitutes an emergency. and children about the two inch level change. Superintendent Rubio immediately sought to downplay teacher and parents concerns over the children's safety, calling the whole thing an "emergency created out of thin air". Notably, a teacher broke her leg two days before in the construction site when she was attempting to prepare her classroom for the children on opening day. 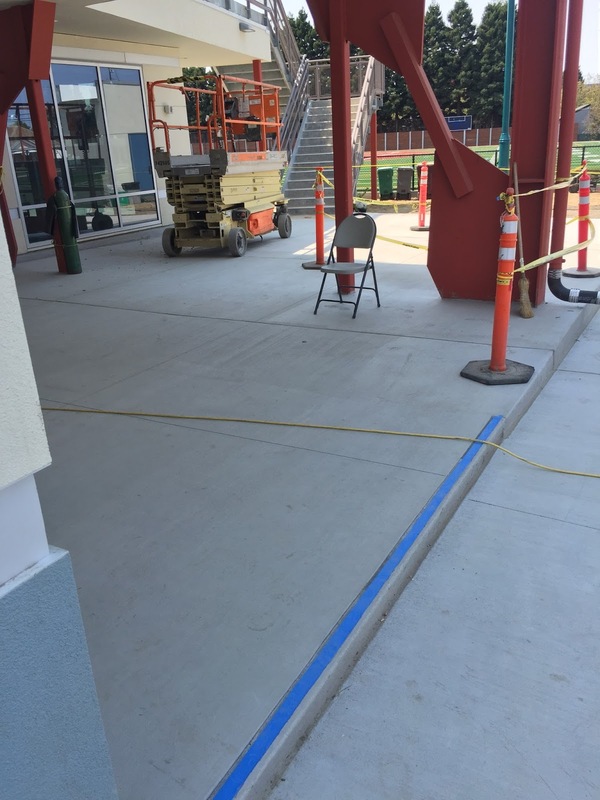 Turner Construction, the contractor in charge, placed some blue tape over the trip hazard after two more teachers tripped. Superintendent Rubio did acknowledge the teacher's broken leg and said the trip hazard would be fixed by Turner soon. Former City Councilman and current School Board candidate Ken Bukowski Thursday noted the action by Mr Affeldt represented an overstepping of his authority. Mr Bukowski forwarded the following letter to subscribers to his 'you tube' page where he provides video of School Board meetings and other important regional public policy meetings. "It was a very contentious meeting. The main discussion was the question of opening of school for today, August 25th. Numerous teachers came to the Board and asked for the opening to be delayed because the project is not complete. Teachers also claimed they did not have their curriculum to provide instruction. There were many comments about items in the hallway. A majority of the Board wanted to vote to delay the opening, but Board President John Affeldt did not agree. He claimed a vote could not be taken, since the item on the agenda was only informational. However Christian Patz said, the Board could declare there was an emergency, and thereby direct the Superintendent to delay the opening. The meeting was recessed to allow Affeldt to check with County Counsel. 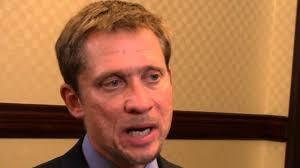 When Affeldt returned, he claimed the counsel said, there was insufficient reason to claim an emergency existed. The purpose for checking with the attorney was to see if a procedure for declaring an emergency was possible. Generally, legal counsel tries to justify the wishes of a board majority, if feasible. It must be clear Affeldt likely framed the question to obtain the desired result. The question of whether or not an emergency exists is a decision for the Board to determine. The Board is responsible for its decision, not the attorney. Affeldt, overstepped his authority, and would not allow the board to make a decision. He failed to respect other board members by failing to call the question, despite numerous requests. The testimony of several teachers and members of the public provided sufficient information to raise the question of safety, as well as saying they could not perform their professional duties. It was clear there was no orientation. I know it took me almost 20 minutes to find the board meeting. Certainly hundreds of kids on the site for the first time would have to be confused. The Board president has no right to fail to call a vote, if there is a motion and a second. The Brown act says if it is an issue of health and safety the board can act. The Superintendent said, if the school opening is delayed he didn't want to be responsible for what could happen to the kids who could not attend school. However, opening a brand new project, there is always a possibility there could be a problem. For example, on opening day if the electricity went out, and the school didn't open, it would not be a huge surprise. The school district is never responsible for the conduct or behavior of students who are not in school, at any time. However, if kids show up and sustain injuries at the school, especially if there are known problems, it could rise to the claim of negligence when you know a dangerous condition is pre-existing. I was disappointed with the way it went. It may have shattered the confidence of students and teachers, unnecessarily, just to make an opening date. Anything done in haste, is usually not the way to go." A video of the meeting can be viewed HERE. After hearing dramatic testimony from ten teachers concerning primarily the safety of the children at the construction site of the Center of 'Community' Life for tomorrow's scheduled first day of school, the School Board is seeking legal counsel to consider an emergency delay of the opening of the school. Teachers expressed concern that the site is unsafe owing to its unfinished condition and they complained the District had not even prepared the academic curriculum for the long planned start up. Adding to the drama of the safety concerns was one teacher who testified in a leg cast after she broke her leg on an unsafe level change at the school site two days ago while attempting to prepare for the opening of the school. At least two other teachers also tripped on the hazard it was reported. Three Board members said the school should not open tomorrow. Superintendent John Rubio told the Board he intends on opening the school regardless of the teacher concerns calling their pleas on behalf of the children's safety "An emergency created out of thin air". 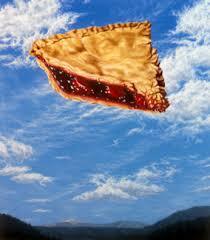 As of 9 pm tonight, the question of opening the school tomorrow am is still up in the air. Several hundred parents with their children are expected to descend on the site in about ten hours. After taking advise from legal counsel, Superintendent John Rubio and School Board President John Affeldt refused to call the question of a duly motioned and seconded motion to delay opening the school citing a possible Brown Act violation were such a vote to happen. After losing an earlier straw vote (3-2) where the Superintendent and Board President made their views on opening the school regardless of the safety problems brought up by the teachers, the two said a vote would be illegal and they downplayed any safety problems with the construction site, teacher injuries notwithstanding. In a moment of passion, Mr Rubio volunteered to walk the entire campus starting at 7 AM, clearing unsafe construction materials and debris. Later he said it was too late to inform parents that the school opening would be delayed even if they could delay it. Board member Patz invoked a provision within the Brown Act that allows the Board to take such an action after having declared an emergency situation, a finding Mr Affeldt was unimpressed with. Most teachers left the room after it became clear their concerns weren't being listened to. On May 3rd the Emeryville City Council voted unanimously to amend our General Plan and Conditions of Approval for a private school to kill a needed pedestrian path in the Triangle neighborhood with promises to build a nearby and better replacement path sometime in the future. A quick check into the costs associated with such a replacement (more than one million taxpayer dollars) however reveals a Council promise that will likely go unfulfilled. And so the Emeryville City Council moved a much needed pedestrian infrastructure improvement from "in the bag" to "don't hold your breath". At their May 3rd meeting the Emeryville City Council finally made it official; at the request of Escuela Bilingue Internacional (EBI), a private school at 4550 San Pablo Avenue on the hook for building a public pedestrian path on their land behind their facility, the so called EBI pedestrian path between 45th and 47th streets is now gone, their Conditions of Approval and our General Plan having been amended by the Council to kill the path forever. A finding of fact was inexplicably presented and entered into the record that the elimination of the path will "enhance the neighborhood". The Council, historically none too fond of pedestrian and bike paths, regardless, affirmed the need for a path connecting the two streets and they have assured the citizens they will build a new path further to the east to a more mid-block site, the problem with the EBI Path having been its location they tell us; too close to San Pablo Avenue. What the City Council hasn’t told us however, is that whereas the EBI Path was a ‘gimme’, fully funded by EBI itself, the proposed mid-block path replacement will need to be funded by the taxpayers. Further, the Council has not released a timeline on when they intend on building the new path. The EBI Path, if it hadn’t been eliminated, would be here and being used by the community now. A pedestrian path at the EBI location was first brought to the fore by newly elected Councilman John Fricke, looking for ways to increase connectivity in the neighborhood in 2005. The public thought so highly of his idea that they put it in the new General Plan along with a bike/ped path alongside of the Center of ‘Community’ Life that the City Council later eliminated (citing concern over gang rapists that frequently lurk on bike/ped paths). The staff worked up a condition whereby any business newly locating and conducting a major remodel on the 4550 San Pablo Avenue building in question would be on the hook for building the path as part of a condition of approval. 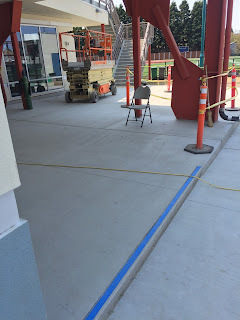 A few years later, EBI having shown an interest in the site, entered into an agreement with the City of Emeryville to locate their school there and build the public pedestrian path. EBI was irritated by the requirement to build the path even though they signed on to providing it and they made their grievances known to City Hall. The Council, feeling their pain, voted to get rid of the path in 2012, presumably striking a blow against gang rapists trolling our bike/ped paths. But the Council in their wisdom, kept EBI on the hook for the money in lieu of the path, determined to be $525,000. That money was finally released in May after the Council amended the Conditions of Approval eliminating the path forever on the EBI site. The $525,000 the Council secured in the EBI negotiation in May has been set aside for the mid-block replacement path. However it will not cover the added costs the City will incur by relocating it. A breakdown shows a $1 million deficit at least. Two existing homes, one on 47th Street and on directly behind it on 45th Street will need to be acquired by the City via eminent domain, torn down and then the path constructed. A check of prices of homes in the Triangle neighborhood show an average of $700,000 to $800,000 for a total of about $1.5 million. Combined with demolition and construction costs, the total approaches $2 million leaving a balance of at least $1 million perhaps as much as $1.5 million after the $525,000 credit is factored in. Residents would be advised to question the City Council about how the public is being served by letting a needed pedestrian connection for the Triangle Neighborhood completed now and funded by agreement with a private party turn into a deal that puts us in the hole to the tune of $1 million +, done by hostile eminent domain destruction of established historic single family homes and completed in the distant future, if at all. For low wage retail and service workers at large corporations, there’s no moving forward. Do you know what it’s like working long, erratic hours without knowing day to day what your schedule would be? Some of us do. If we haven’t worked in low-wage retail or the service sector, we’re lucky that usually our hard work paid off, and we could advance in our careers. For low wage retail and service workers at large corporations, there’s no moving forward. When someone has an “I’ll do anything it takes” attitude, they are not rewarded for their labor, their adaptability or their commitment. Instead, they are often met with the chaos of unpredictable hours. When people don’t have stable full-time or even part-time hours, they can’t budget or schedule basic things like child care, doctor visits, classes, family time or self care. A recent survey conducted by the Alliance of Californians for Community Empowerment, the East Bay Alliance for a Sustainable Economy and the Center for Popular Democracy found that a staggering 80 percent of retail workers have fluctuating hours from week to week; 68 percent only receive part-time hours; and more than half experience “clopening” shifts — back to back closing then opening a few hours later. Two out of 3 workers surveyed want more hours but can’t get them. Fluctuating hours are considered undesirable by many workers. There are thousands of working people like Cinthia who are run ragged with erratic work schedules that not only have harmful effects on them personally, but on their families and our communities. Our cities are built on everyone coming together to create a thriving place where people can live, work and play. But when people are not earning enough and have erratic schedules, they don’t have time to invest in our community or local businesses. San Francisco passed a fair workweek policy, putting the Bay Area at the fair workweek movement’s forefront. Emeryville and San Jose are also considering similar policies to begin to move the entire region toward a more sustainable work model and ensure that people have both higher wages and regular, predictable hours they can count on. Some of us take our routines for granted. We get up, rush to get everyone out the door, work a single job, come home, eat, go to bed. Wash. Rinse. Repeat. But for too many working people, that kind of stability is a dream. It shouldn’t be — and we can do something about it. Now that we’ve won a $15 minimum wage across California, we know we need to finish the job and ensure working people have hours they can count on. A regional fair workweek provides hardworking people with the opportunity to work with stable schedules so they can pay the bills, live healthier lives, and contribute more to our communities. Dianne Martinez is the mayor of Emeryville. Ruth Atkin is a member of the Emeryville City Council.